Heather Hartley: While you were in prison, you said, “writing becomes a sense organ.” How do you mean this? Breyten Breytenbach: In prison particularly [this is the case], and I’m sure it’s probably the same if one were to find oneself in any situation of isolation. Imagine that you get lost in the high mountains or you’re sick and in hospital for a long period or that you’re going to a monastery. I think that if writing is your bent, it becomes a sense organ through which you experience or try to understand the world … I think it becomes an essential medium to access the world around you, your immediate environment and also the interaction between this, memories and imagination. It’s also a way of accessing your self. I hadn’t been aware of the extent to which writing becomes an inevitability, becomes an actual necessity. It’s nearly as if something doesn’t really exist until I can shape it in writing or think it in writing and it’s in this way that I compare it to a sense organ. I think one becomes dependent on it in the same way as you look and listen to and interpret what you hear and what you see. In writing, which is obviously a quiet activity, [although] I’m not sure it’s a natural one, I think it does become a sense organ, yes. Probably a kind of aggregate of the others … but then perhaps none of the sense organs exist by themselves. HH: And Mouroir for you is closet to expressing your experience of prison? BB: Yes. Again, I wouldn’t know the extent to which I suceeded in doing that. And I’m not sure I set out with the intention of describing it comprehensively or successfully, but I do know that my own way of trying to do so at the time is the closest I could get to it. But one has to take into account that this is one dimension of what one was experiencing because of the conditions under which it was written. I think for me it worked. I’m not sure that it’s accessible to somebody from the outside. I knew that what I had written was immediately going to be read by a hierarchy of authorities: the Section Commander, the Head of the Prison, the Security Officer and then up the scale. So there were certain subjects that were nearly intuitively taboo. You don’t write about your daily reality because that would introduce real people. But they’re all there in one way or another. I’m not sure the extent to which one can enter the dream of another. I think you embark and you follow [along] with whatever you bring to it, because words have different meanings to different people. There’s the need for the dream to be unfurling or unfolding and it’s probably not subservient to any outside logic. It’s not going to be structured like a short story. It’s not going to hold up in terms of coherence when it comes to character. It’s not going to respond to any particular logic, necessarily. But I think all of these absences and deformations, are — one could also call them dream elements or mechanisms, and if you’re going to access them through writing while being inside there [prison] — in a sense, dreaming awake. It’s literally consciously entering into the dream state, but of course these dreams are fed by very, very harsh physical conditions. By the colors around you, the smells, the sounds, and by the absence of things. BB: Yes, I was writing under rather peculiar circumstances. They gave me a number of sheets of paper and then I would write and then they would come and take them away. 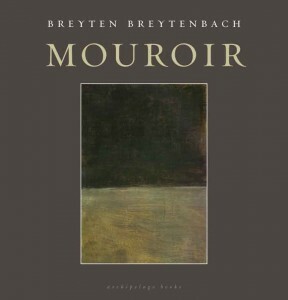 I’ve recently been leafing through Mouroir because it’s just been republished in the States. A beautiful edition with a wonderful cover of Rothko [published by Archipelago Books]. And the thing that struck me [was] the meandering sense of it. Probably one or two reasons it has this sense of moving and not knowing where it’s going to go is that I could not return to it. It would be written and then these pages would be taken away and then tomorrow you carry on where you left off. And you know how important it is — at least for me — I’ve become quite obsessive about being able to backtrack and read earlier bits to see if it fits in with what comes later. You can’t do that … which is a blessing in disguise. It’s literally keeping you moving forward. HH: It pushes the writing? HH: That possibly comes back day after day. The papers leave and don’t return but the image does. BB: Yes. Also I think what it does is to make me aware of the extent to which the image is already inscribed in the rhythm. I suppose when you set off with a story or writing like that, instinctively a rhythm comes. It may be in the slowness of the description; it may be in the slowness of getting to the point. And in a roundabout way, something quite difficult to describe is being accessed or talked about. And that brings with it a certain rhythm and a certain length of sentence and paragraph. I think that, despite the fact that this will be interrupted day by day, [it] remains with one as a kind of subtext, as a kind of subconsciousness … It’s rhythm and sentence building and paragraph building. -a tiny bit from the latest Tin House interview with Breyten Breytenbach.